Prevoty maintains strategic alliances with key organizations to drive maximum value to our customers and demonstrate a commitment to advancing the state-of-the-art in application monitoring and protection. These technology and channel partnerships amplify our range of capabilities and enable businesses to be more intelligent, sophisticated, and proactive with their application security strategies. Prevoty's RASP technology is fully compatible with two IBM Security products, IBM QRadar Security Intelligence Platform® and IBM AppScan®. With this integration, mutual customers are able to implement more sophisticated and unified application security architecture and strategies, reducing friction across the different tools. Prevoty helps enterprises protect and visualize runtime cyber attacks and provides IBM tools with relevant, real-time application threat information from within the application. Optiv is a market-leading provider of end-to-end cyber security solutions. Optiv helps clients plan, build and run successful cyber security programs that achieve business objectives through depth and breadth of cyber security offerings, extensive capabilities and proven expertise in cyber security strategy, managed security services, incident response, risk and compliance, security consulting, training and support, integration and architecture services, and security technology. A member of the Intel Security Innovation Alliance™, Prevoty plays a critical role in the program’s mission to accelerate the development of interoperable security products and to simplify the integration of these products within complex customer environments, bringing better value and more protection. With this new integration, Prevoty and Intel Security provide users with real-time threat information from within the application. This will help to address a rising industry need to shorten response times from security events and more easily remediate compromised systems. Prevoty Application Monitoring and Protection is available on the Amazon Web Services (AWS) marketplace, enhancing cloud security and enabling compliance for enterprises moving workloads to the cloud. The Prevoty App gives enterprises visibility into real-time attacks on their production applications and enables cloud-based applications to automatically protect themselves. AWS users can now search, analyze and visualize application data with the context of all other security-relevant data to help reduce the cost of remediation and perform forensic and root cause analysis. Customers of WhiteHat’s Sentinel software-as-a-service platform have the option of mitigating identified application bugs and defects automatically by seamlessly integrating with Prevoty’s Application Monitoring and Protection (AMP) solution for RASP capabilities. Integration of Prevoty AMP and WhiteHat Sentinel allows WhiteHat customers the ability to instantly and easily mitigate identified application vulnerabilities that are being exploited at runtime. The Prevoty Application Monitoring and Protection App for Splunk surfaces attack data from applications into a custom Splunk dashboard. Splunk Enterprise customers can correlate, visualize and understand valuable security intelligence about which of their production applications are being targeted by hackers, including the “who, what, where and when” of the attacks. Denim Group adds Prevoty’s Runtime Application Security Protection solutions (RASP) to its arsenal of professional services including installation, deployment, and training. Enterprises can reduce mean-time-to-fix of vulnerable applications with less manual remediation and get real-time visibility into web application attacks with the new Remediation as a Service (RaaS) offering. AsTech is a leading application security consulting company specializing in software vulnerability management and remediation, with more than 15 years in application security. Their consultants are developers first, and are uniquely suited to rapid and efficient engagement within customer processes and environments. Prevoty customers can leverage AsTech's expertise through QuickStart program to accelerate return on investment and ensure that they are equipped to take full advantage of Prevoty's protection. 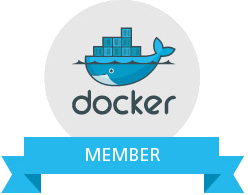 As an authorized Docker Partner, Prevoty is capable of protecting applications that run on Docker, a popular open-source platform for developing distributed, portable and cloud-ready applications. It is now easier than ever to implement RASP and automate real-time threat neutralization on your containered Docker deployments. To see for yourself how LANGSEC can modernize your application security and protect your software at runtime, request a demo today.